One of the best things about winter is not the snow, winter bonfires or fresh hot chocolate (with Bailey's). For me, the best thing about winter is summer concert announcements. On those extra cold days, it gives you something to look forward to ... knowing that soon, the warm summers breeze will be blowing through the air along with amazing rhythms from your favorite bands makes winter the greatest! I love being excited!! Lately, Paul and I have been hearing about the latest and greatest shows that we are going to see while planning out our summer trips. As excitement grows, so does the craving for some good granola, which is a must whenever we travel and especially to carry-in at a show. 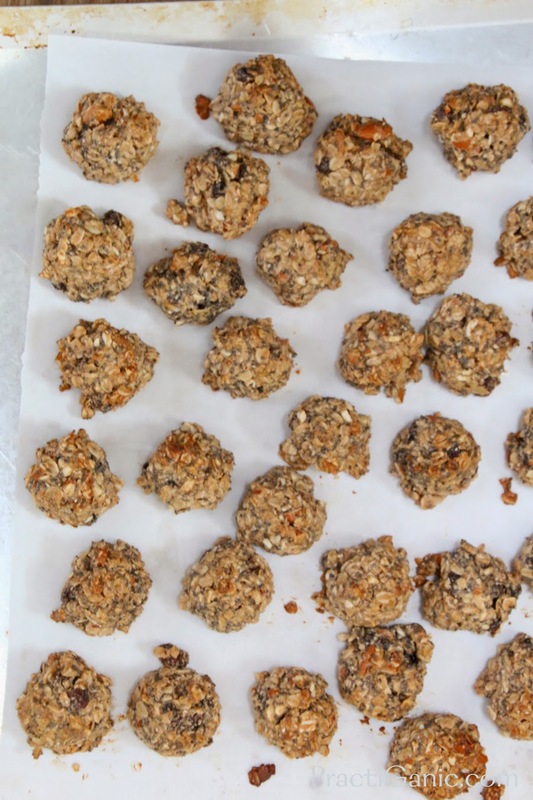 A girlfriend recently made some amazing granola bites and I have been dying to make them, but she hasn't sent me the recipe ... is she that busy with her full time job and two little adorable babies?! I decided not to bug her again, and to just make my own. 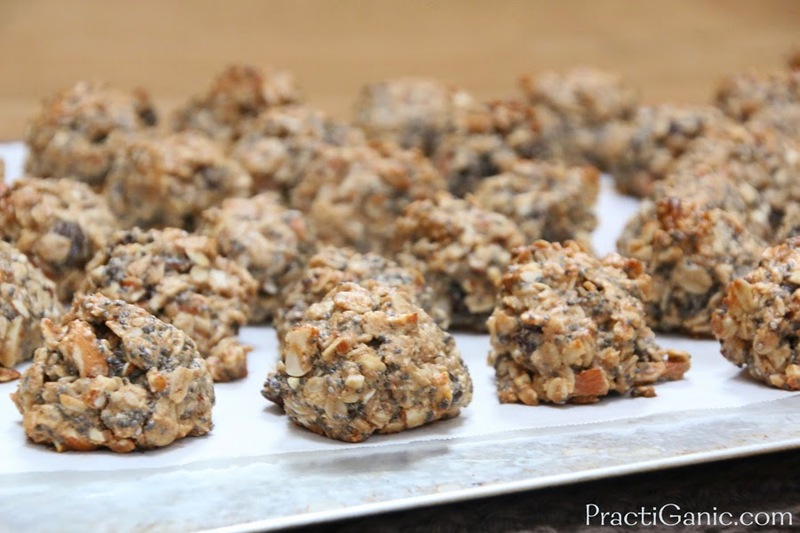 I love the idea of no bake granola bites, but those always do best when they stay in the refrigerator, (not very conducive for a hot summer show) so I always bake mine. I love how easy these are to make which makes me again ask the question, why do I buy granola bars from the store?! These are sure to fill you up when you're on the go and need a quick bite. Plus, the chia seeds help provide you with the extra boost of energy you'll need for the encore! Happy bites ... happy show! In a pot, mix together peanut butter, honey and coconut oil on a low heat until they are all melted together. Add in the cinnamon, salt and extract and mix together. 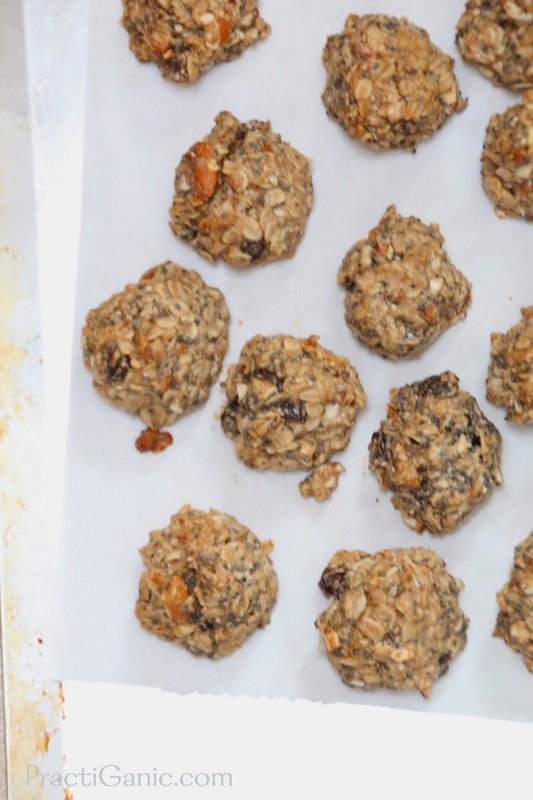 Then, add in the oats, nuts, dried fruit and chia seeds. 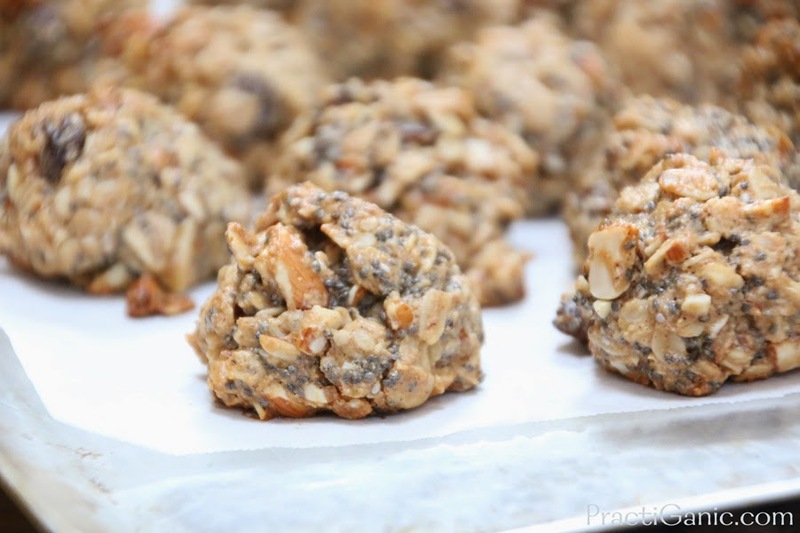 Form into balls and bake for 18 minutes.